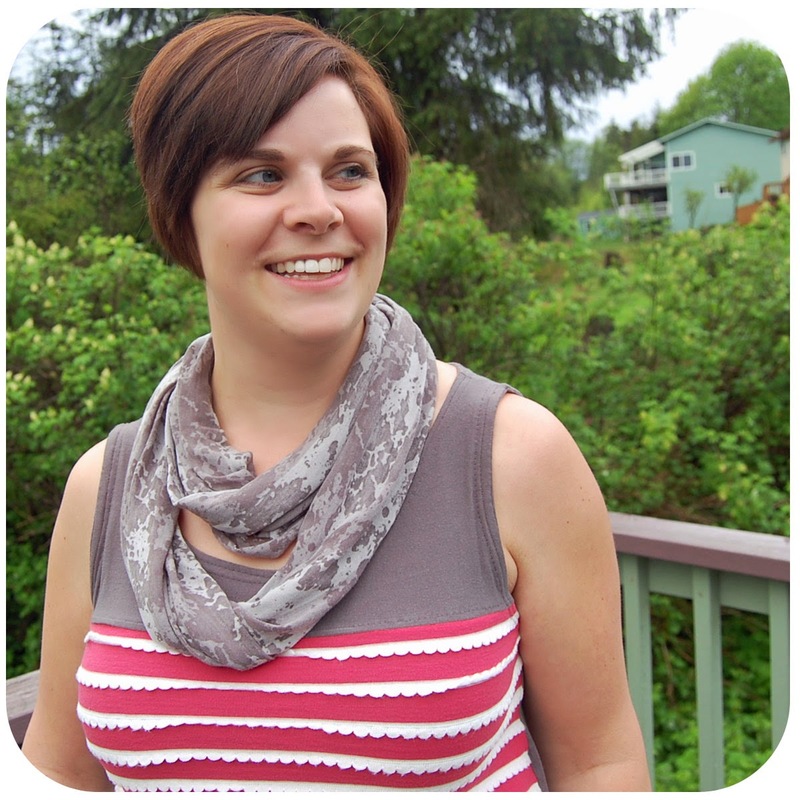 Sew & Tell: Sew-a-Bration of Womanhood - a top (and scarf) for ME! 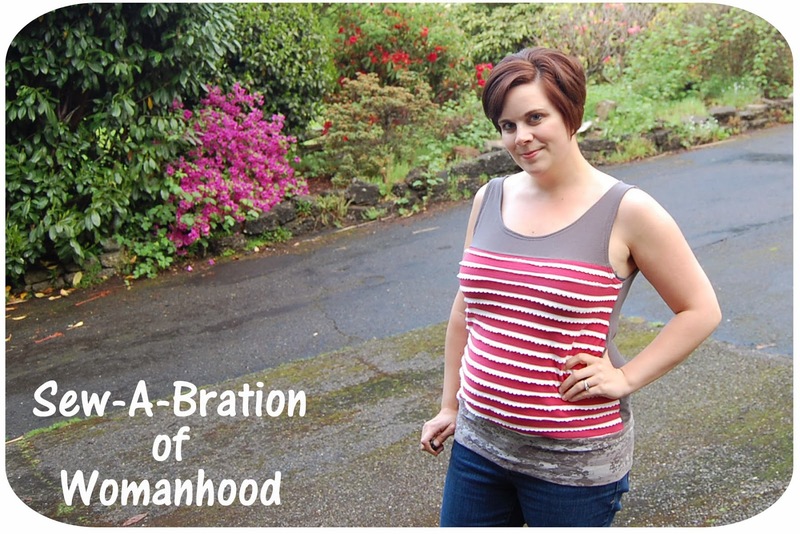 Sew-a-Bration of Womanhood - a top (and scarf) for ME! 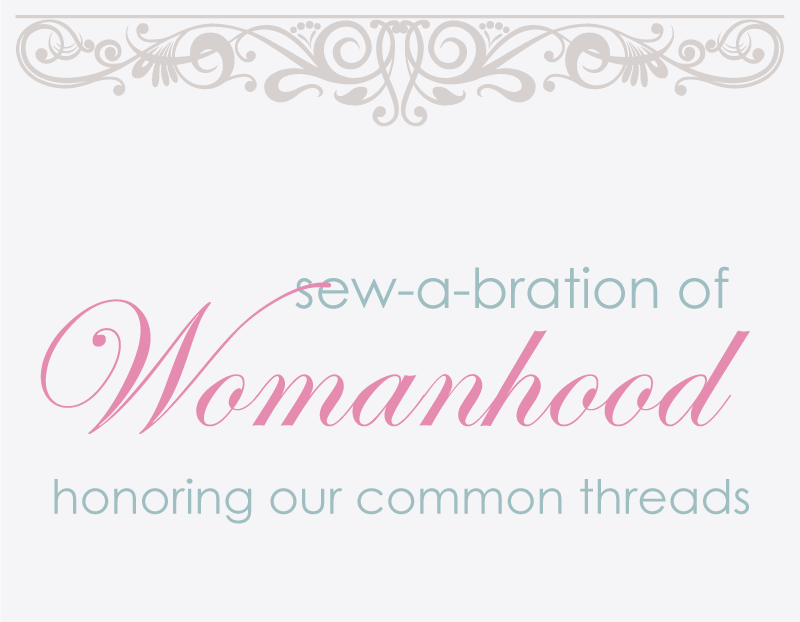 It was with excitement (and a little bit of trepidation) that I recently responded to a call for bloggers to participate in the Sew-A-Bration of Womanhood hosted by two fabulous blogs: the Shaffer Sisters and Call Ajare. 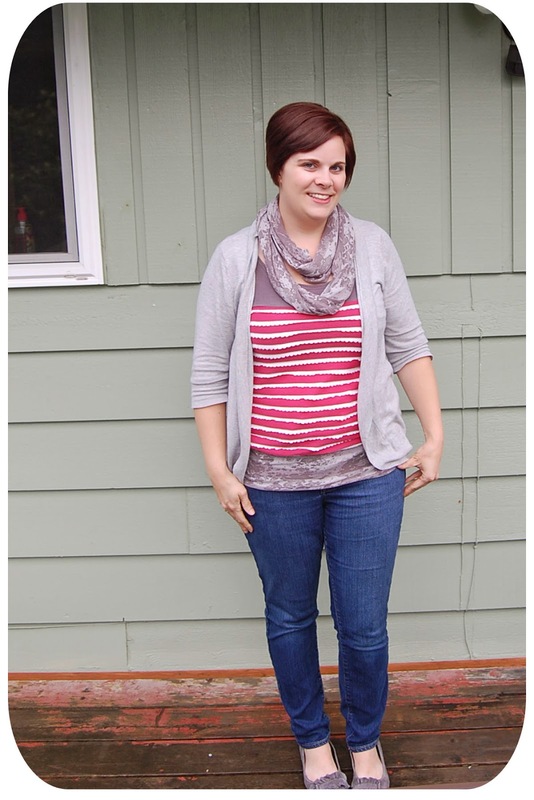 My body has changed a BUNCH over the years - getting married, having two kiddos, moving our family a few times.... 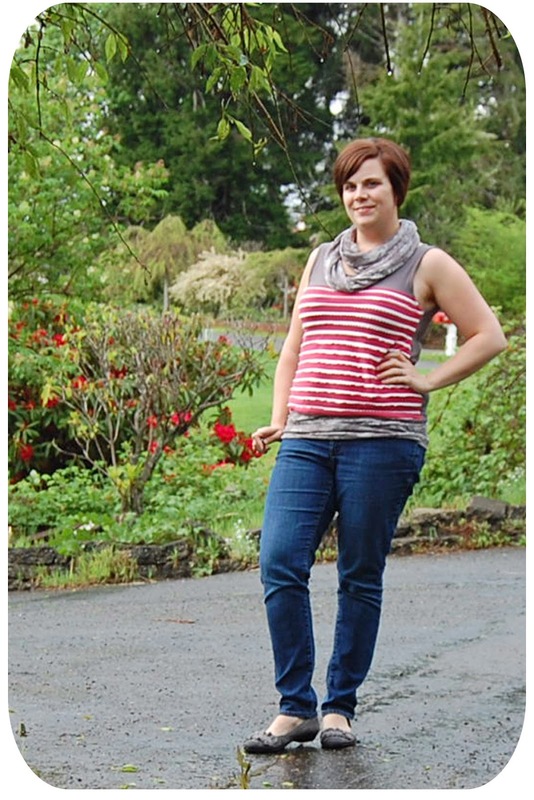 I am no longer the woman I was in college or high school - and my body is no longer the same. But that is NOT a bad thing - I have to remind myself of this on a regular basis. Truly embracing our imperfections - in our work, our life, ourselves - is something that I think most women find to be challenging. But when we do? The power of that acceptance and the confidence it brings can and will create change! Recently I challenged myself to make some changes - changes I'm very proud of that are helping to make my outward image reflect what's inside. So this blog series - centered around celebrating womanhood and bodies of all shapes and sizes - could not have come at a better time. Inspired by a few friends who do a GREAT job sewing clothes for themselves I decided this was the perfect opportunity to give it a go! Here's a bit of honesty: My body shape..... I'd say it's a "round hourglass" (is that even a shape? did I just make that up?) - My "girls".... they're big. Two pregnancies have created some nice curvy hips..... and my belly is my "problem" area - always fluffier than I'd like. So when I picked my size, I followed the largest measurement - my chest. After three different shirts... and many photos.... I realized this created a top that was far too big for me. 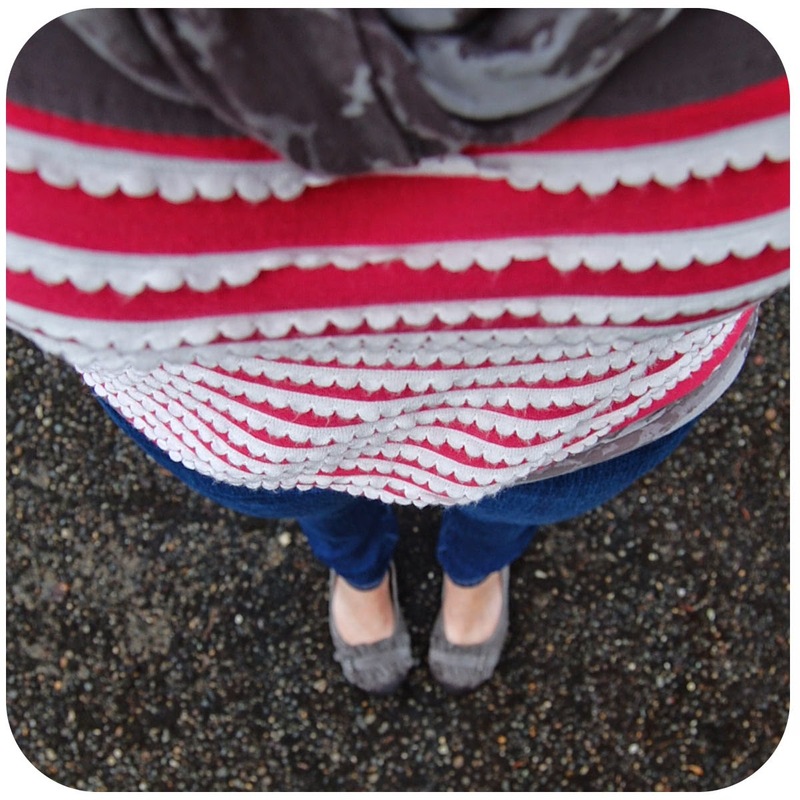 I ended up taking at least 1" off of each side seam - probably more. I just kept checking fit and adjusting! 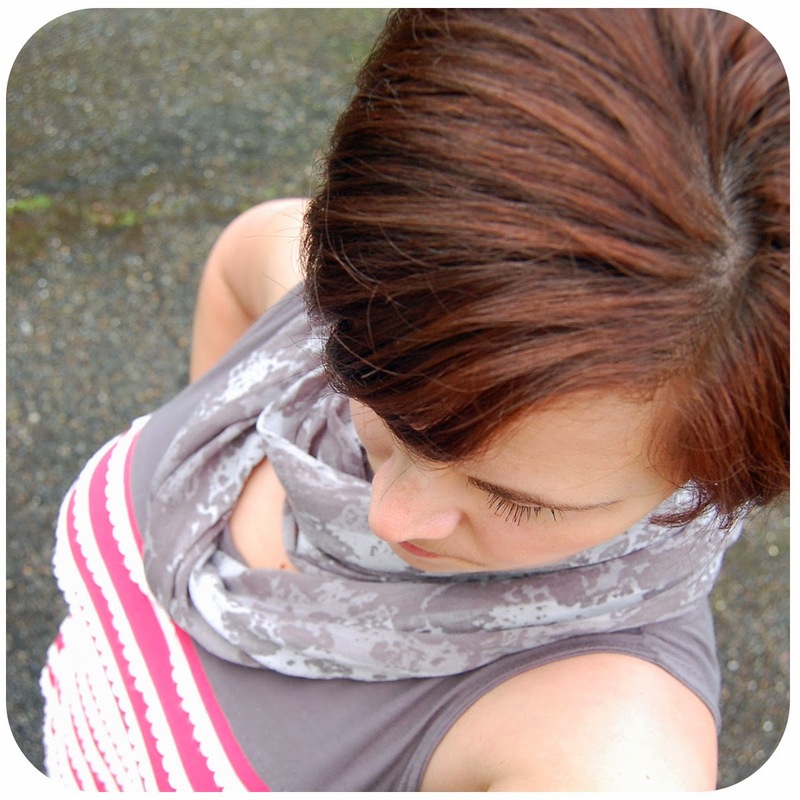 I also decided I wasn't loving the hi-lo look for me (love it on others, though!) - so I got creative and added an accent band to the base of the shirt after cutting it at the highest point (in the front). I made it by cutting a piece of knit 8" x WOF. 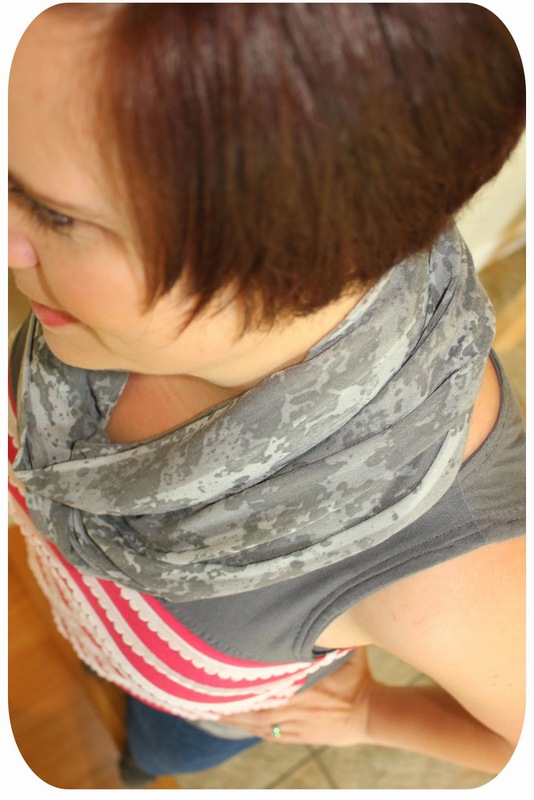 Then I just used a french seam for the short ends - and wa-lah - cute, lightweight infinity scarf! 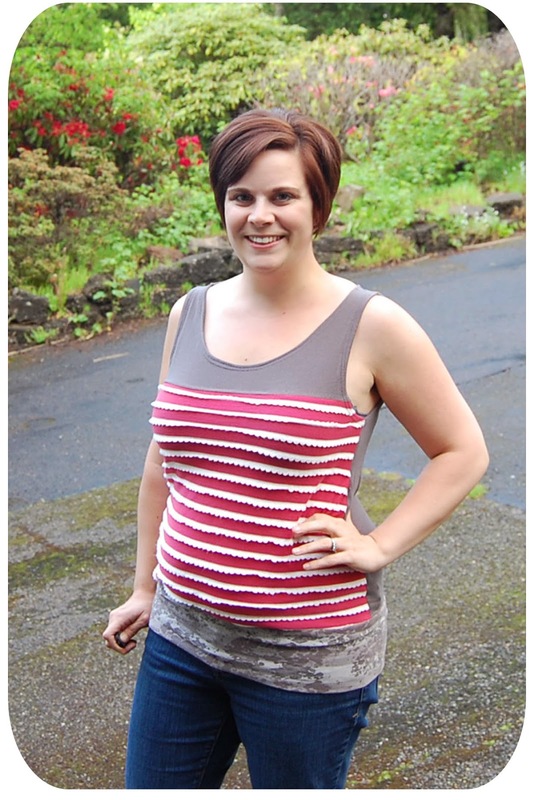 All in all - I'm excited to have sewn something for ME - and really do see myself wearing this top on a regular basis. It's comfy, it's cute, and it IS pretty cool to know that I made it. BUT..... I have a feeling it will be a while until I attempt more adult clothes sewing! I'll stick to fun bags / kitchen towels / aprons / quilts for me! Fabric info: All fabrics purchased at Joann Fabrics - pinky red stripe is from their Doodles line - the other two were from the knit basics / red tag clearance section. Here's a peek at the "real" me - or the me who is so DONE taking pictures and appreciative of a hilarious husband who is telling me to "work it!" A big thank you to Shaffer Sisters and Call Ajare for getting me to step outside my comfort zone - and in front of the camera - for this empowering blog series! Want to see more? 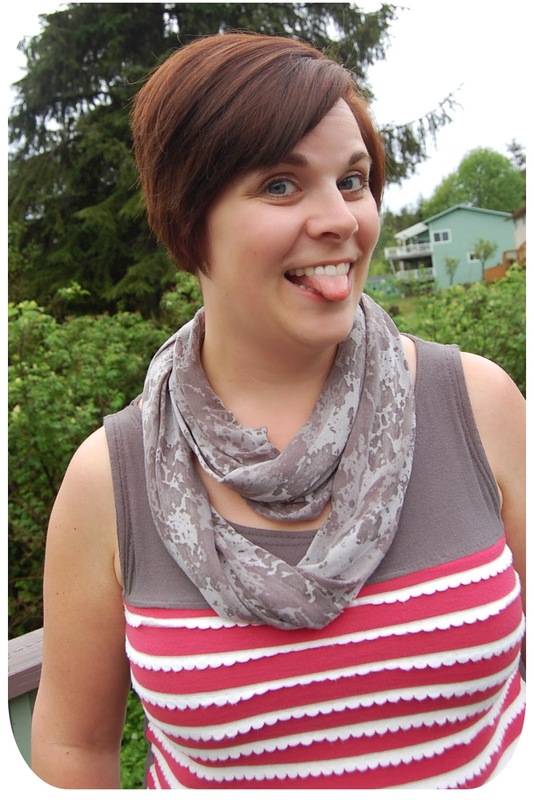 Here are the blogs that will be participating in this sew-a-bration! That top is so cute on you!!! You did an excellent job! 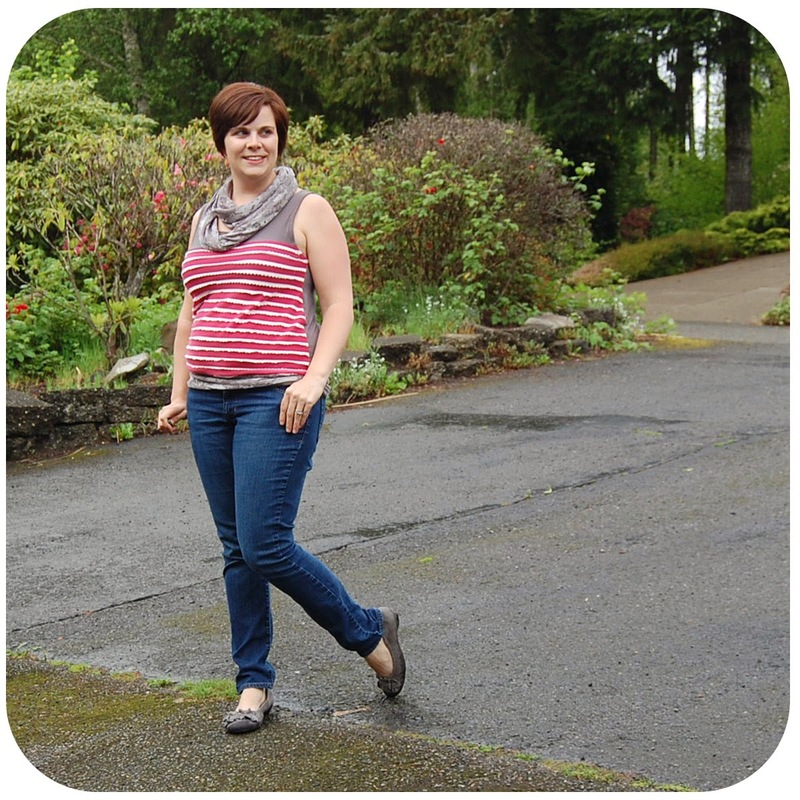 You look fantastic and I'm so excited that you are working more with knits! You did such a great job! You look great! 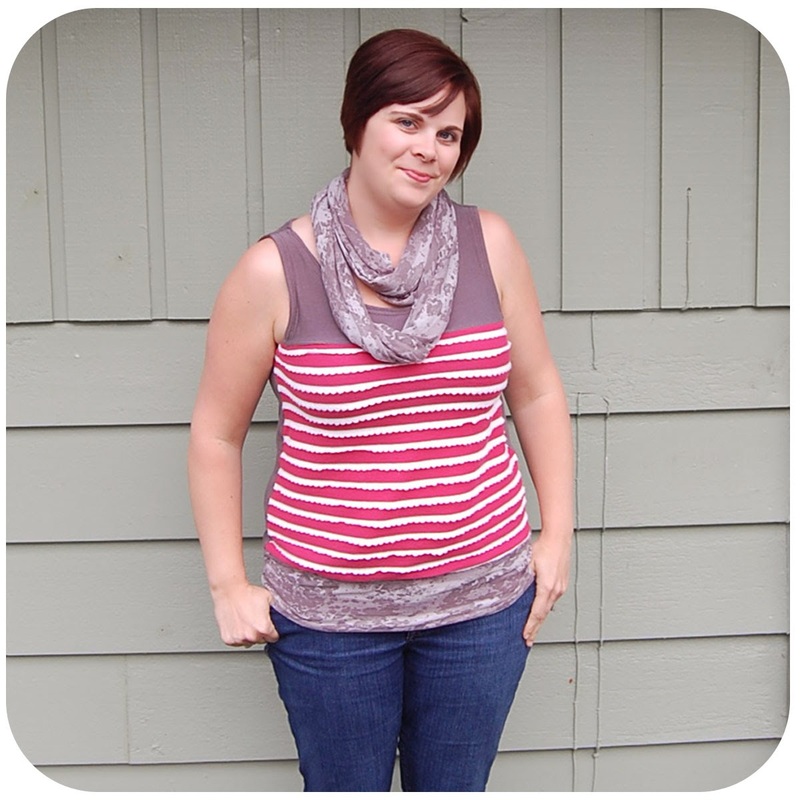 I think the top is cute and you should sew more!